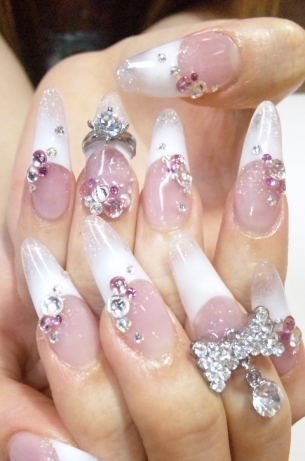 Acrylic French Manicure Ideas and Trends. 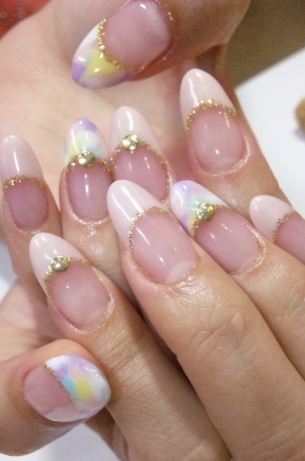 The new season is bringing glam nail art designs into attention, so if you're ready to give your nails a boost of style, check out these insane acrylic French manicure designs and make the best out of your mani by recreating and reinventing your favorite motifs! 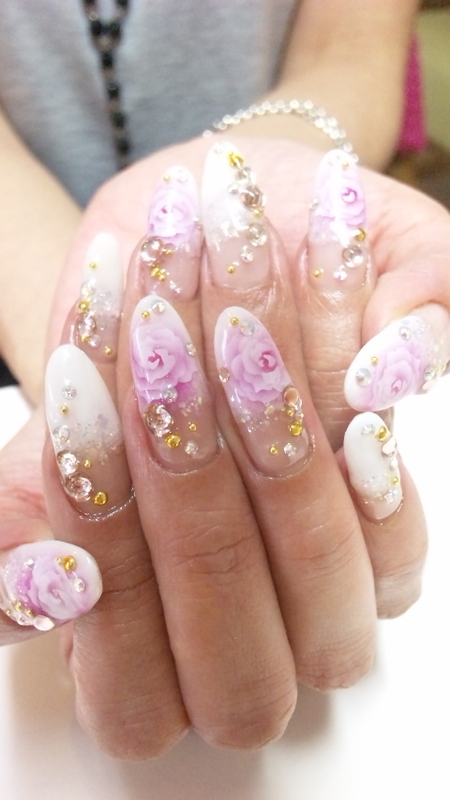 It seems that the possibilities when it comes to nail at designs are endless as nail art enthusiasts have outdone themselves by pushing the boundaries when it comes to nail art. 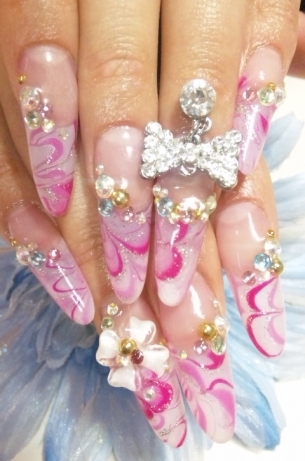 Prepped to perfection nails have become a definite must have and because the most popular nail art design that maintains a timeless status is the French manicure style, we have put together a mix of all glam acrylic French nail designs that juxtapose contemporary boldness with vintage elegance, so check out the following artistic manicures created by Pinky-Nail and draw inspiration for your next all glam mani. 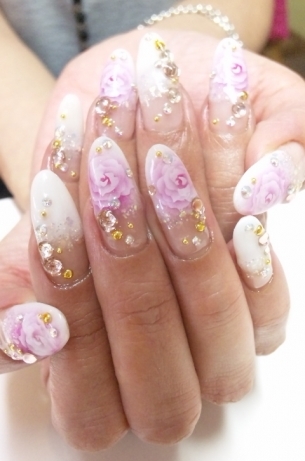 Update your French manicure making it look extraordinary by adding various details such as rhinestones, 3D acrylic flowers, petals and more. 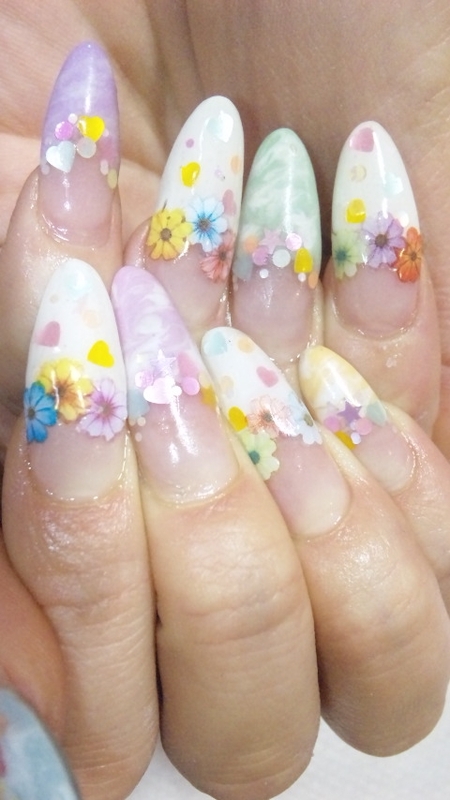 Acrylic hand painted accents can also give a more sophisticated allure to your French manicure, making it feel and look apart, so if you're skilled at drawing intricate designs, let your imagination go and accentuate your uniqueness. 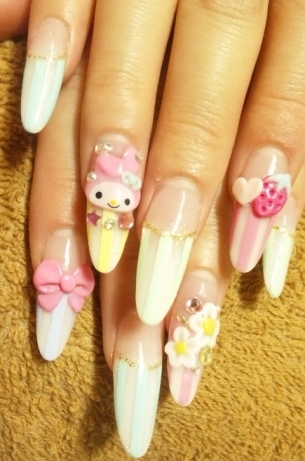 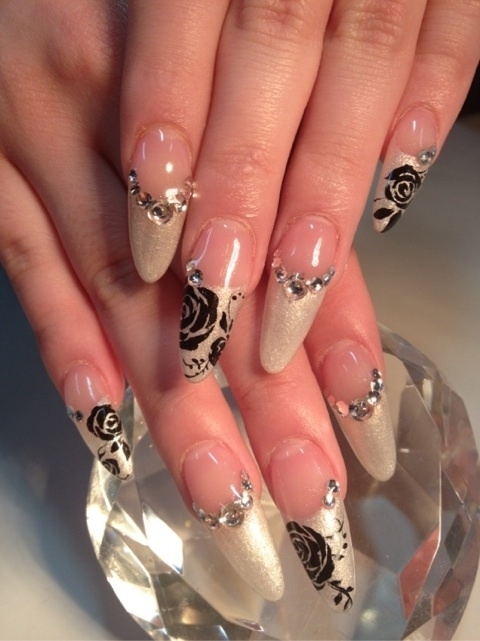 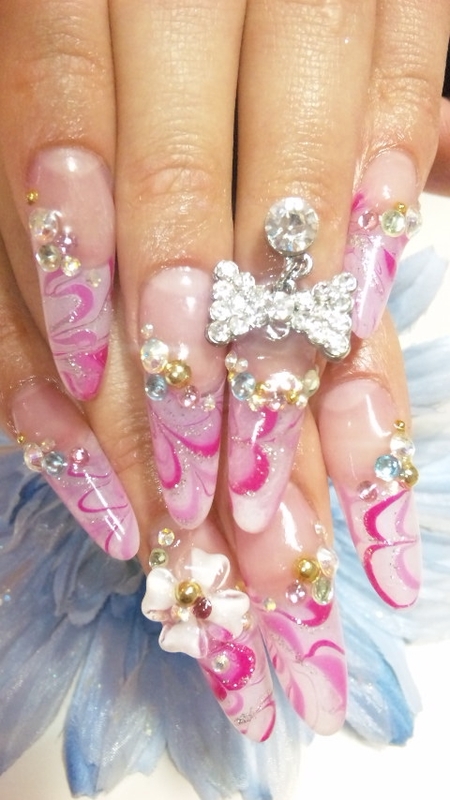 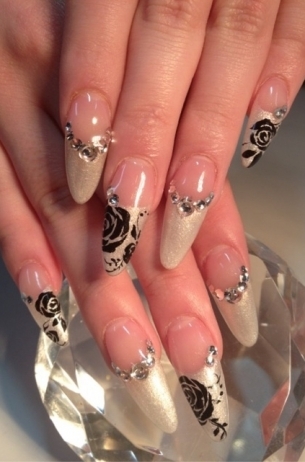 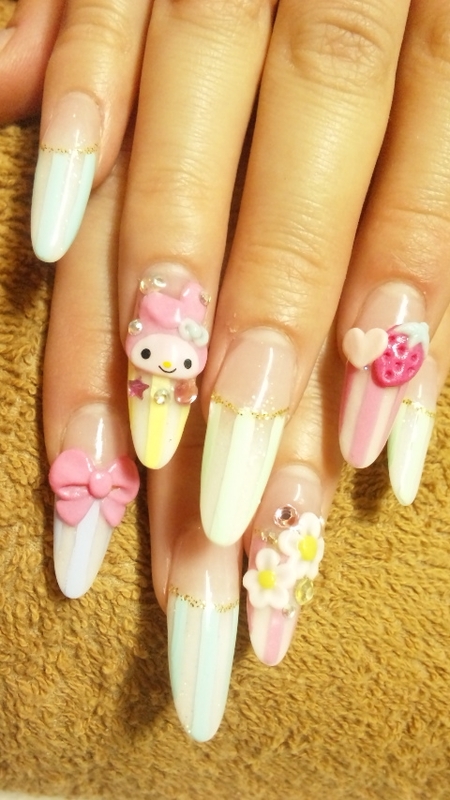 Don't hesitate to go bold as this season nothing is too much when it comes to glamorous nail art designs. 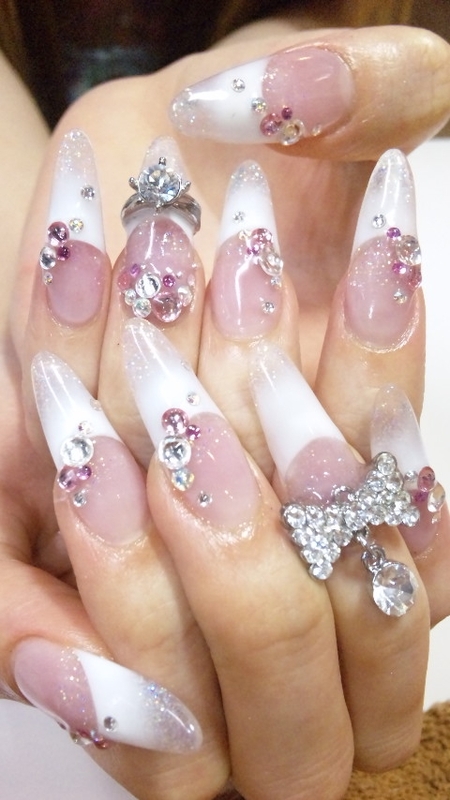 Keep your French tip completely matte white or give it a more elegant look by adding a white, silver or soft pink glitter at the edge of the tip. 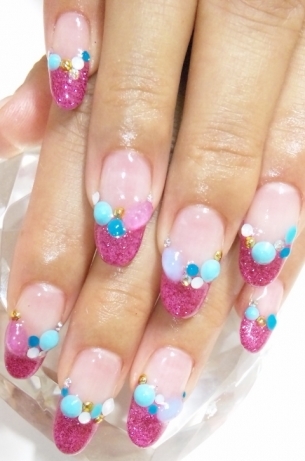 If you wish to make your manicure stand out, opt for a cool and trendy colored French tip manicure. 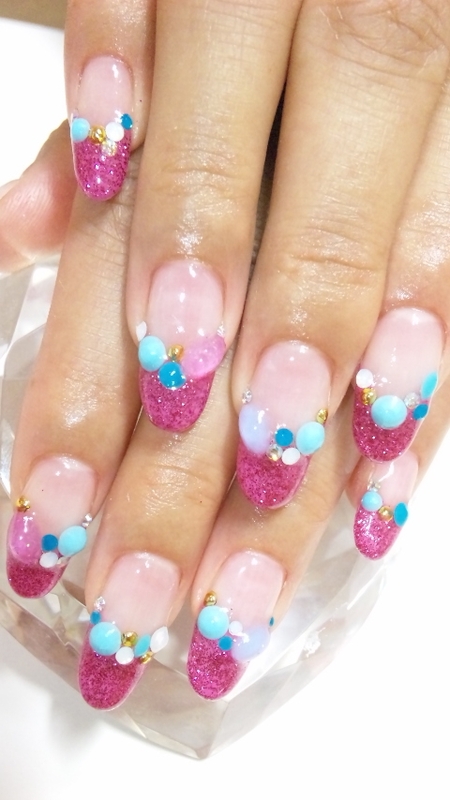 There are a myriad of cool nail polish hues out there to choose from, so dare to be bold and experiment with your favorite hues. 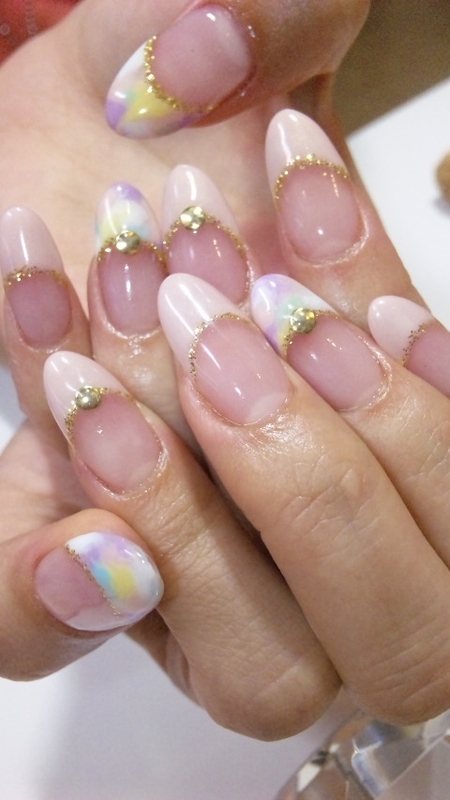 Nothing is too much, so from black to hot pink, purple, red, gold, soft pink, blue, yellow, anything goes. 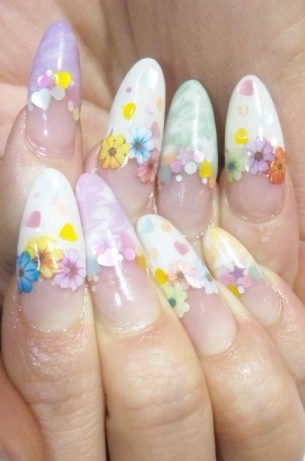 If you want to make your manicure even more sophisticated, mix and match various color clashing hues for an eclectic, youthful vibe look. 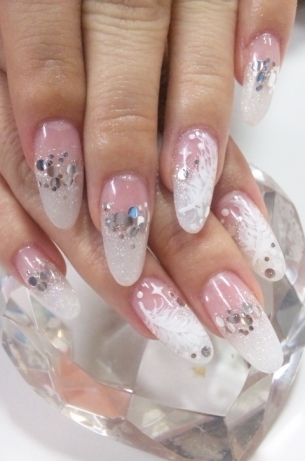 To obtain that perfect soft line you can turn towards a thin nail art brush, a wood cuticle remover and use the blunt cut side dipped into nail varnish to create the perfect curved line that is a must when it comes to a flawless French manicure whether you're using white or another color in the process. 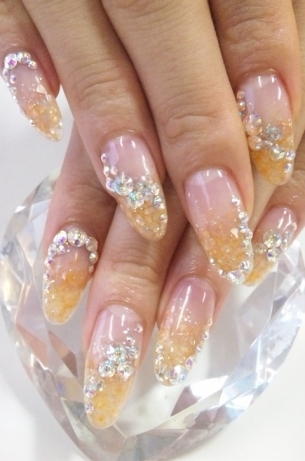 Glitter, stripes and marbled effect French tip nails look super hot and can be a great idea if you're looking for a manicure that is both fun and sophisticated. 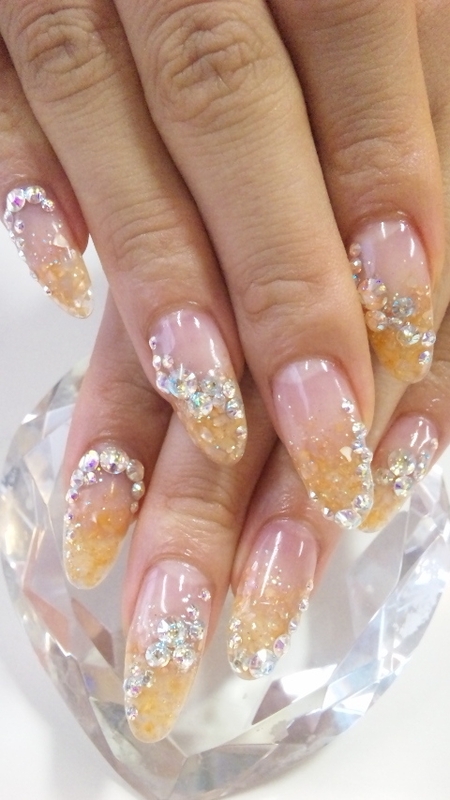 Create a different pattern on your ring finger and thumb or on any other fingers you wish to add a bit of asymmetry to, as symmetry is no longer a requirement when it comes to party-ready glam nails.